BRIGHTON, Mich.- We had our first elementary school visit last night, and did we have a good time or what! 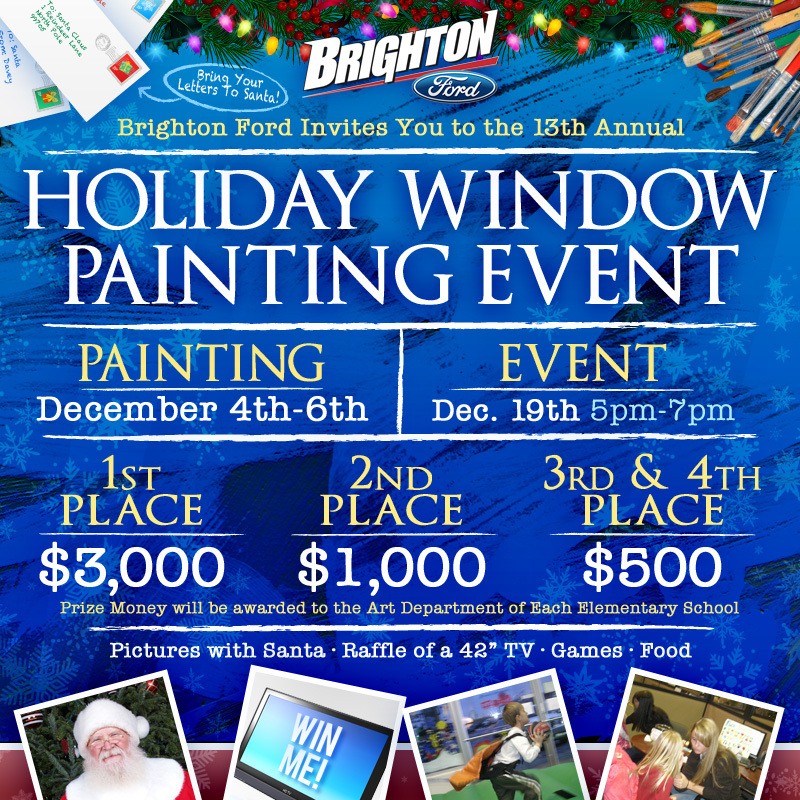 The awesome students from Hilton Elementary School came over to Brighton Ford yesterday after school to paint their festive holiday window for our 13th Annual Holiday Window Painting Event coming up on December 19th! 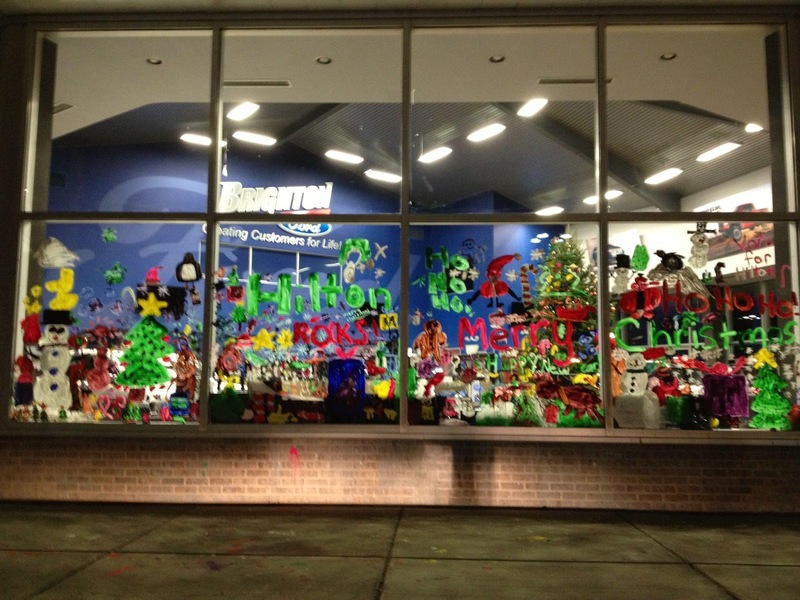 The kids put their artistic skills to the test and completed a fantastic Holiday Window Painting at Brighton Ford! We had a great time painting and enjoying some delicious cookies, and we are definitely looking forward to all of the other Brighton Elementary Schools coming by to work on their windows this week! Check out our 13th Annual Holiday Window Painting Album for photo updates and don't forget to mark your calendar for the big event on December 19th where you can vote for all of the windows and get your picture taken with Santa!! Come on by, we're located at 8240 Grand River Ave. just north of I-96 in Brighton. We are a family owned and operated business that strives on customer satisfaction. For more information on Brighton Ford visit BrightonFord.com or give us a call at (800)-836-8206.